Today Russia has a reputation, fair or not, as a xenophobic haven for Neo-Nazis and white supremacists and thus a hostile place for anyone of apparent African descent. But at the turn of the 20th century this wasn't the case. 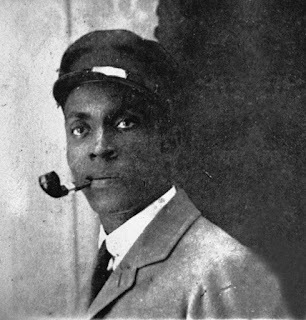 Frederick Bruce Thomas(FBT), an African-American, made and lost a fortune in Russia during the pre-Bolshevik years. He also repeated his success in Turkey. FBT's story is an example of what someone intelligent can do once liberated from the strictures of American racism. FBT's life is also an unfortunate example of how American racism can still reach out and touch people far from its shores. 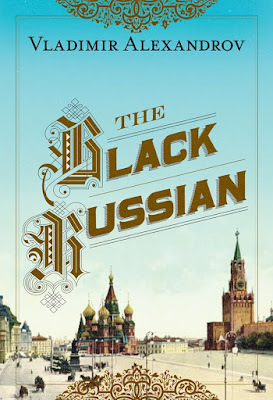 The Black Russian is lastly an intoxicating tale of the events around the time of the First World War and how they shaped the world we live in today. I knew that the Turks stole (conquered) Constantinople from the Byzantine Greeks in 1453, renaming it Istanbul. I had forgotten that in the aftermath of WWI the Greeks, with Allied assistance, attempted to partition Turkey, conquer (retake) the Greek founded city of Smyrna, and make Istanbul an international city, with the likely aim of eventually claiming it for Greece and of course changing the name back. The Greeks were unsuccessful, something that would have a deleterious effect on FBT's life and business interests. FBT was born in 1872 Mississippi, not an area that was very hospitable to black people, especially those who "didn't know their place". This designation fit both of FBT's parents, Lewis and Hannah, as well as his stepmother India, who helped to raise him after Hannah's death. Former slaves, Lewis and Hannah (and later India), had left sharecropping as early as 1869. Lewis and Hannah purchased their own farm. The Thomas property grew to over 600 acres, a decent sized farm then or now for a single family. The Thomas family wealth allowed them to donate land for schools and churches. The family entered into business partnerships with white English immigrants and hired local black residents as workers and sharecroppers. White people noticed the economic power wielded by Lewis Thomas and his wife. This would prove to be the downfall of the Thomas family in Mississippi. A wealthy white land owner named Dickinson, irritated by Lewis' and India's success, pretended to assist them. Dickinson claimed the Thomases owed him money. Dickinson assured Lewis and India that he was trying to protect them from more violent whites. He'd help the Thomases escape Mississippi provided they signed their farm over to him for a discount price. Lewis and India trusted Dickinson. The couple signed over the farm and relocated their family to Memphis, where they ran a boarding house. But when the Thomases didn't receive the agreed upon payment, they rechecked their records and discovered that they didn't owe Dickinson any money. They believed that Dickinson was lying about threats from other whites. The black couple then took the audacious and unprecedented step of suing Dickinson in Mississippi courts. It was probably proof of both the unusually open time in post-bellum Mississippi and the high level of dislike that other whites had for Dickinson that Lewis and India weren't immediately thrown out of court, arrested or lynched. They even won a few legal battles. This example of his parents standing up to mistreatment must have left an impression on FBT. After his father's tragic murder in Memphis (Lewis tried to protect a woman from her abusive husband) FBT left home and worked in St. Louis, Chicago and New York City as a porter, valet, waiter and messenger. Eventually, gaining experience in a wide variety of roles and perhaps frustrated by American Apartheid's limits, FBT left for Europe. FBT labored as a waiter and maitre'd at increasingly fancier and more expensive restaurants and night spots. FBT became fluent in French, German, Italian, Russian, Greek and Turkish. 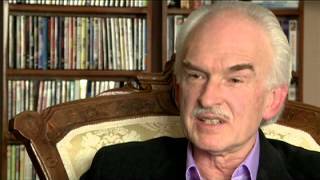 He saved his money and settled in Russia, where he would become a millionaire. There he was known as Fyodor Fyodorovich Tomas. FBT owned and operated two of Moscow's most impressive and profitable theaters, entertainment gardens and restaurants. FBT dabbled in real estate investment and (he was a Jack Johnson fan) boxing promotion. FBT married multiple times. He established a reputation as a tough but fair businessman. Customers, employees and the press noted FBT's generosity. He didn't tolerate customers engaging in what would now be termed "sexual harassment" of his waitresses. And despite some lurid accusations from American travelers both incredulous and infuriated that a black man could employ and supervise white women, his mostly Russian, German, or French waitresses/hostesses had no complaints about FBT. FBT became a fixture among the Russian elite in the entertainment and restaurateur worlds. FBT was close with several Russian political and military power brokers, who enjoyed themselves at his restaurants and theaters. Perhaps because the Muscovite disdain was focused on Jews, Central Asians or people from the Caucasus region, FBT suffered little racial animosity. He said there was no color line in Russia. Upon the Bolshevik Revolution, FBT and most of his family fled to Odessa and later to Constantinople. He lost all of his Russian wealth. Undeterred he started over in Constantinople with the Stella club, a place offering Russian pre-Revolution nostalgia (some waitresses were or claimed to be previous Russian nobility) and Western entertainment, including authentic African-American jazz music, as well as activities that were frowned upon by the more conservative Turks. Because Constantinople was under Allied rule, FBT wasn't initially concerned about prudish or resentful nationalist minded Turks. But FBT's Russian experiences made him skittish about his family's security. He wanted an escape route in case of political upheaval. FBT applied for a US passport but was blocked by white American embassy officials who were angered by his success and repulsed by his interracial marriage. FBT's long residence overseas also made even sympathetic US officials distrustful of his birthplace and intentions. It didn't help his case that FBT's embittered ex-wife, learning of his attempt to obtain a US passport, had contacted the US embassy. As ex-wives tend to do in such situations, she made FBT's life as unpleasant as she could. During his Turkish sojourn, perhaps because he was operating with lower margins, FBT, who had previously been an unimpeachable model of financial probity, started to have problems with creditors, something that would become a major problem for him in later years, once the Turks regained control. Alexandrov has an engaging writing voice. He's done the research. The book is thoroughly footnoted and documented. This is a really entertaining glimpse into a vanished world that still feels so familiar. Alexandrov gives the reader a captivating description of pre-Revolutionary Russia. The author includes sly humor, which usually occurs when a white American tourist interacts with FBT. FBT is often clearly laughing up his sleeve at them. Occasionally there is more direct confrontation. This is a book which could and should be made into a film. I enjoyed learning something I didn't know reading this story.